Ever since I read the book, I've been waiting for it to go up on the silver screen. Reading it already makes me so excited because I can see the whole story play out in my mind. All the lights and glitz and glamour, the tragedy the drama the unpredictability of human life. My favourite actress has got to be Carey Mulligan. There is something so A-cast about her when I first read her interview in a magazine years ago. In that moment when I read the interview, I knew this girl would go on to be something big in Hollywood. 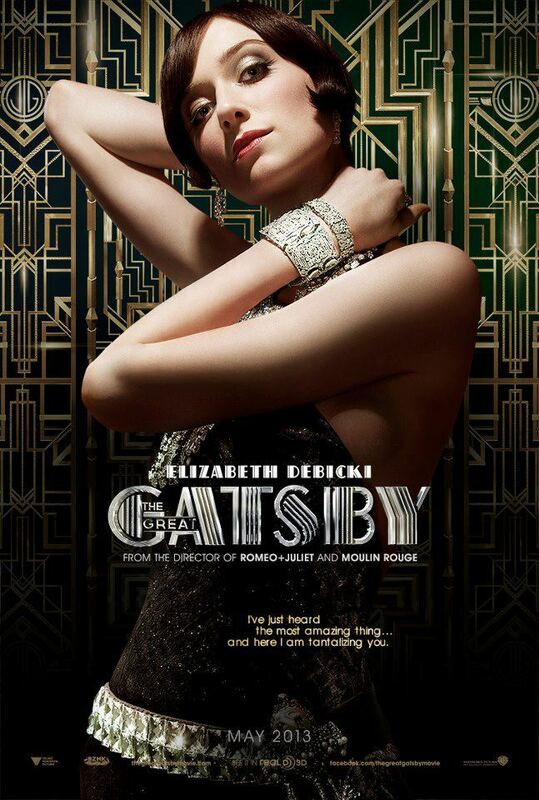 Voila, here she is starring as Daisy Buchanan in The Great Gatsby. One of the finest literary works of F. Scott Fittzgerald about life in Long Island in the 1920s. The other man I went to see was undoubtedly Leonardo Dicaprio, but I was pleasantly surprised to see that Toney Maguire cleaned up really well as Spiderman! 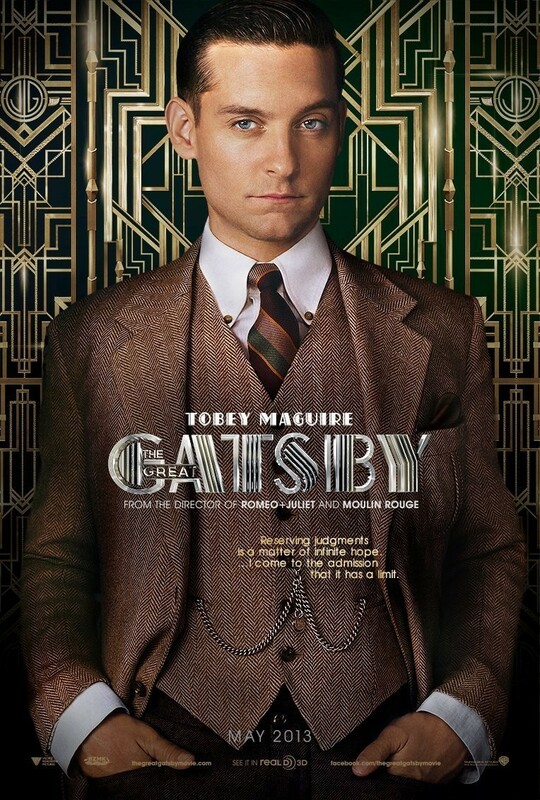 His rendition of Nick Carraway was good, I felt that he stayed true to the character portrayed in the book. Needless to say, Leonardo Dicaprio was awesome as usual, every expression every action was clearly calculated to bring out the Jay Gatsby written in the books. Another thing I love about the movie, is the elaborate set and costumes. Jay Gatsby's castle was just like I imagined when I read the book, very glamorous very posh and of course it's humongous . The chemistry between Carey Mulligan and Leonardo Dicaprio was sizzling hot. 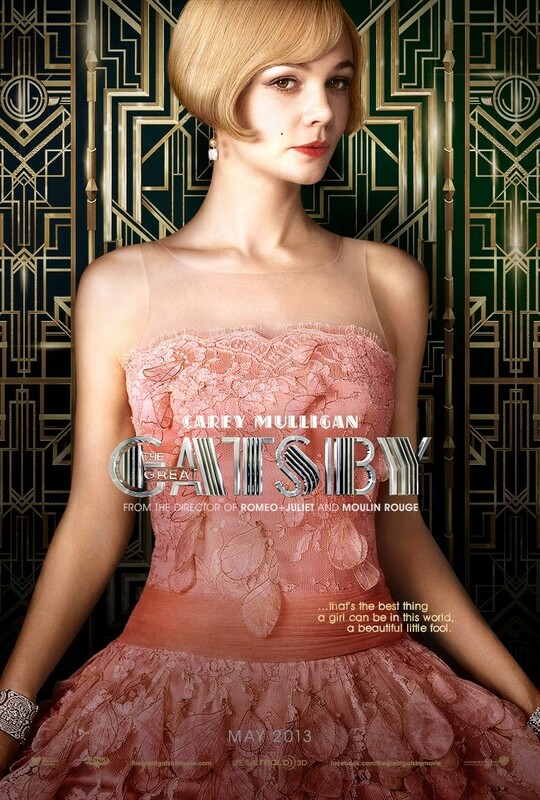 The clothes that Carey Mulligan dons as Daisy Buchanan was beyond lovely. They were classy, they were girlish, they were ladylike, they were beyond glamorous. Every piece featured in the film worn by Carey Mulligan was stunning. The design sets off her character perfectly, the girlish charm coupled with the classy ladylike look. There are so many things I love about the movie, but as with all adaptations they missed out on a few points such as Nick Carraway and Jordan Baker being a couple throughout the most part of the novel. But other than that, it's all pretty good and I loved the whole pace and the melancholic mood. Very well done indeed for a book adaptation. Cast was wonderful as well, definitely worth a watch!